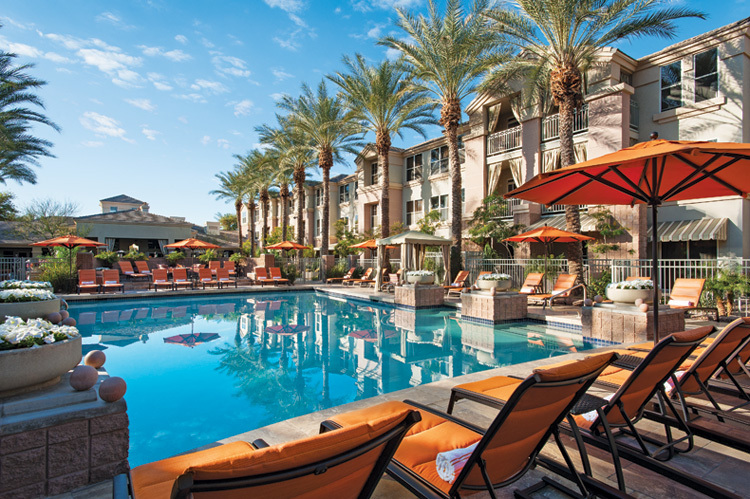 Use promo code LDBBQ15 when making reservations at 800.970.4666, 480.922.6969, or GaineySuitesHotel.com and enjoy the Labor Day Package at Gainey Suites Hotel at 7300 E. Gainey Suites Drive, Scottsdale, AZ 85258. *Labor Day Cool Country BBQ Package rates from $149 for a standard studio king suite are subject to limited availability. Rates for other available accommodations are greater and vary based on room type. Package includes 2 event passes per suite bedroom. **Adults 21+ included in package receive 2 coupons each for a glass of house beer or wine only; must present coupon. Additional adult passes are $20 each; additional minor (age 7–20) passes $10 each. Not valid for groups or with any other discounts or special offers. Does not include applicable taxes. Lost passes or coupons are not replaceable.